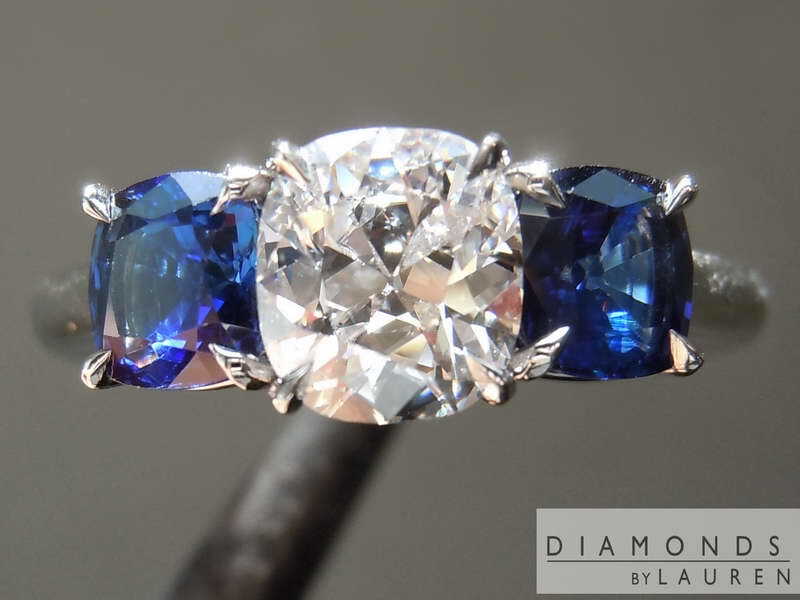 We flanked this perfect Cushion Brilliant with two sapphires of equal caliber. 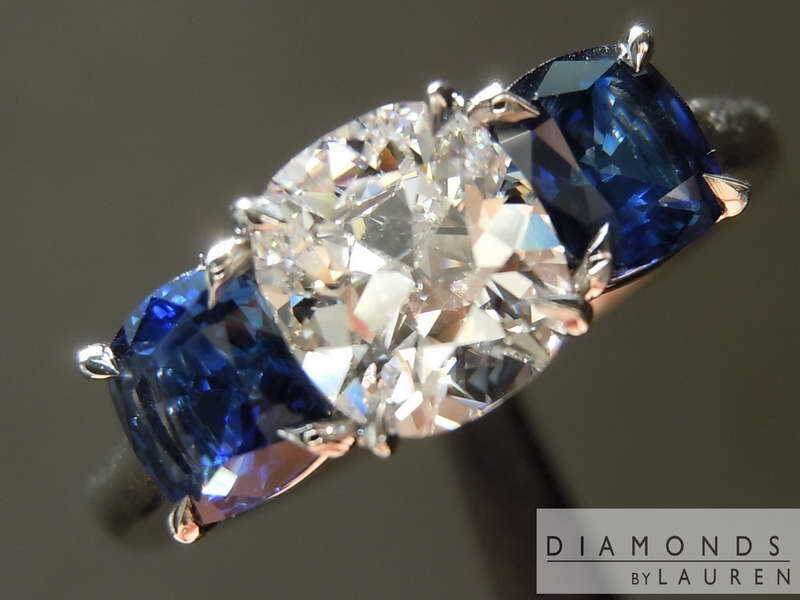 We select our sapphires based on color and brilliance. 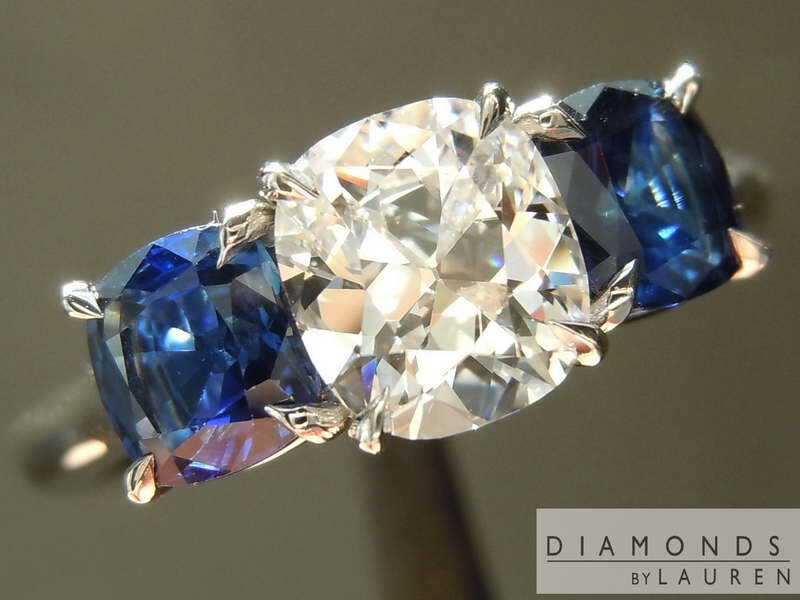 The blue is perfectly pure- no purple, or the dreaded gray you'll find in many sapphires. 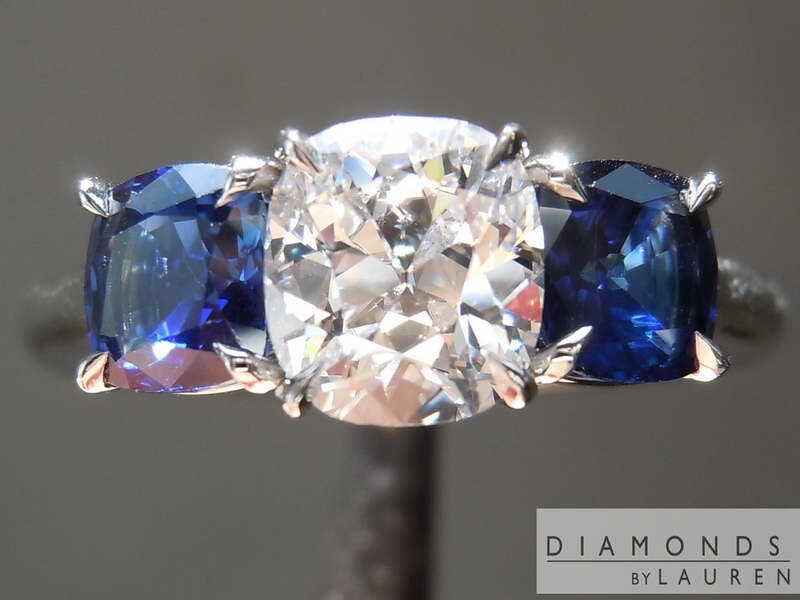 Plus the brilliance- the stones sparkle in spite of the depth of color. 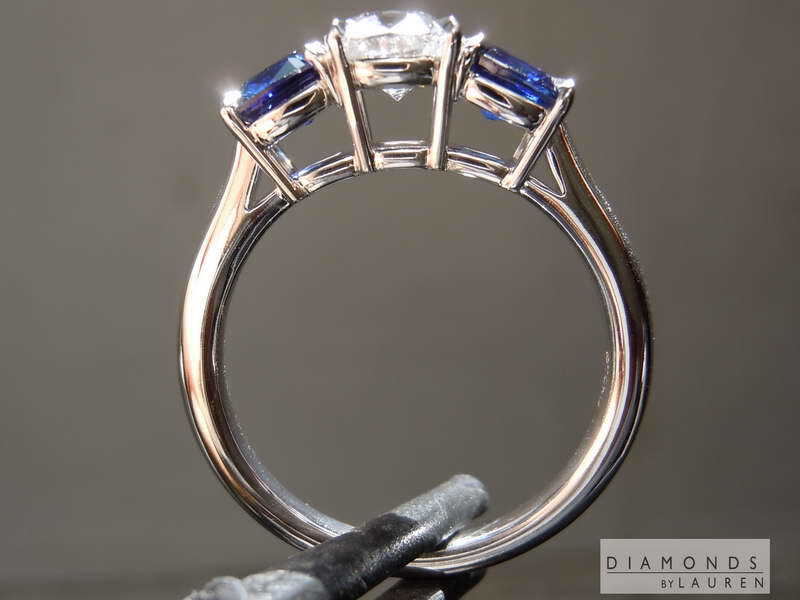 The hand made setting features sumptuous claw prongs- and it's crafted in pure platinum. 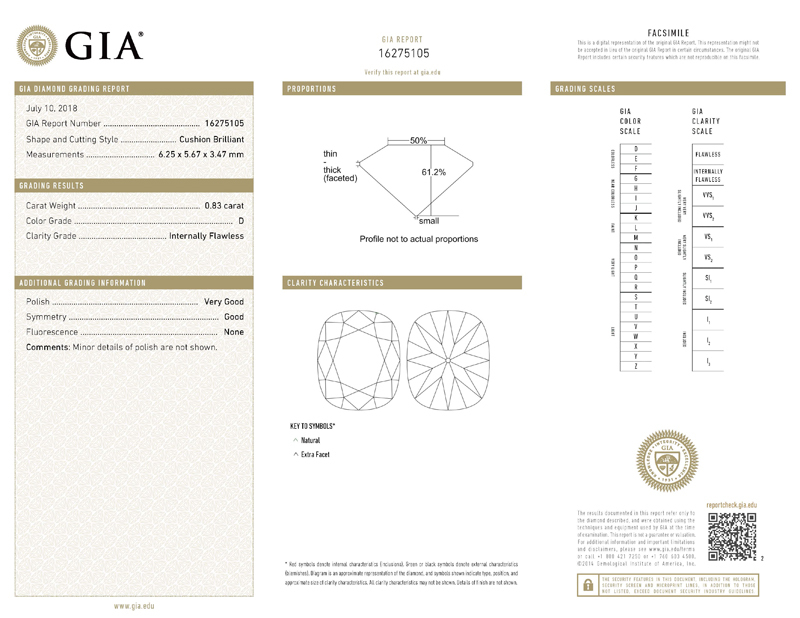 If you are after the "perfect" diamond - here is a great candidate. 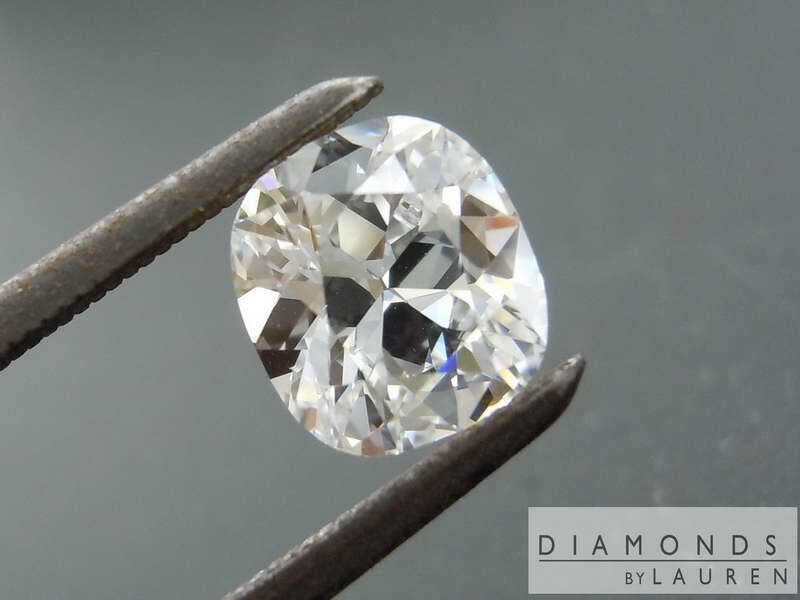 Obviously, the stone is totally colorless and internally flawless. 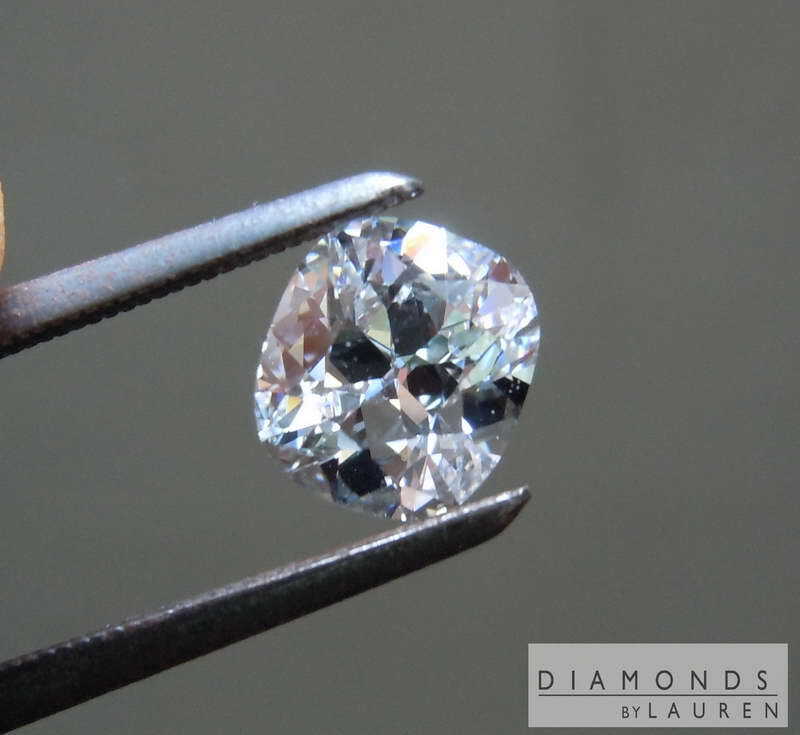 The reason we love the stone so much is it combines the color and clarity with a cut is that is absolutely gorgeous. 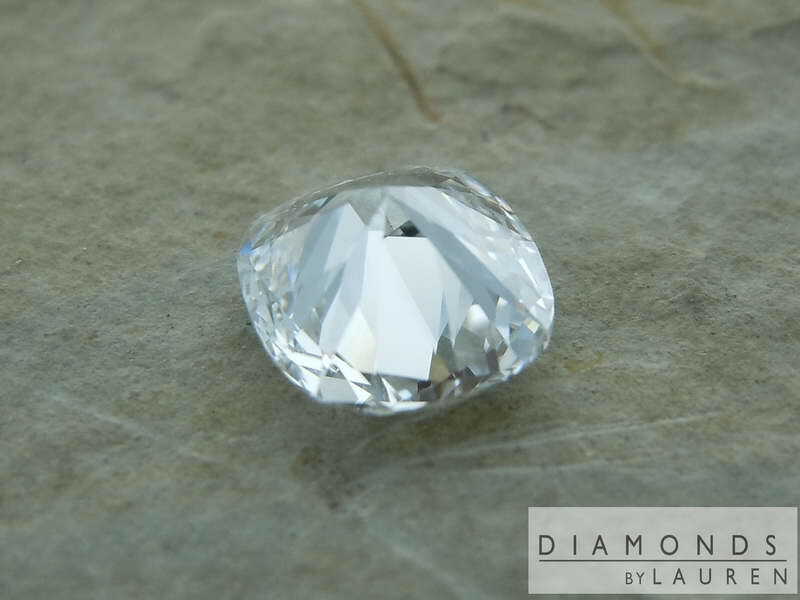 Large facets create large bright flashes. 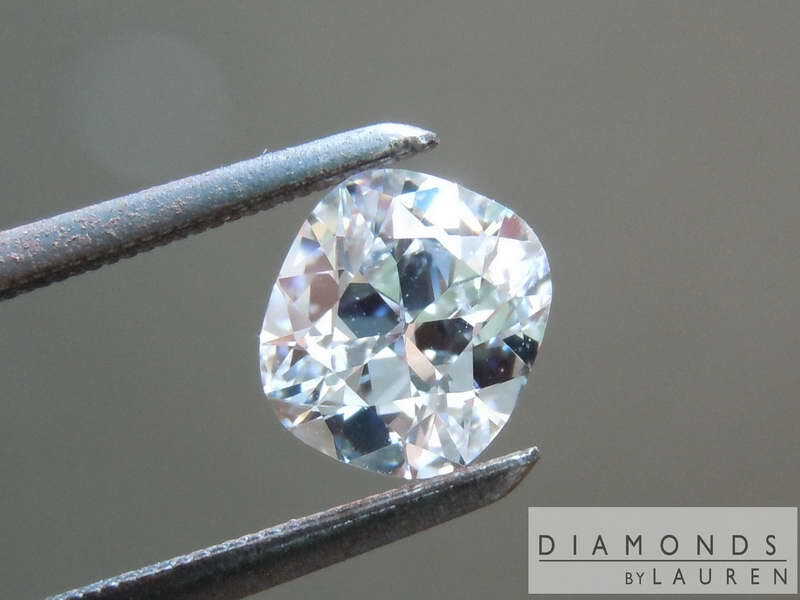 The stone is newly cut, and antique inspired. The stone has really nice size for the weight. This adds to the value. 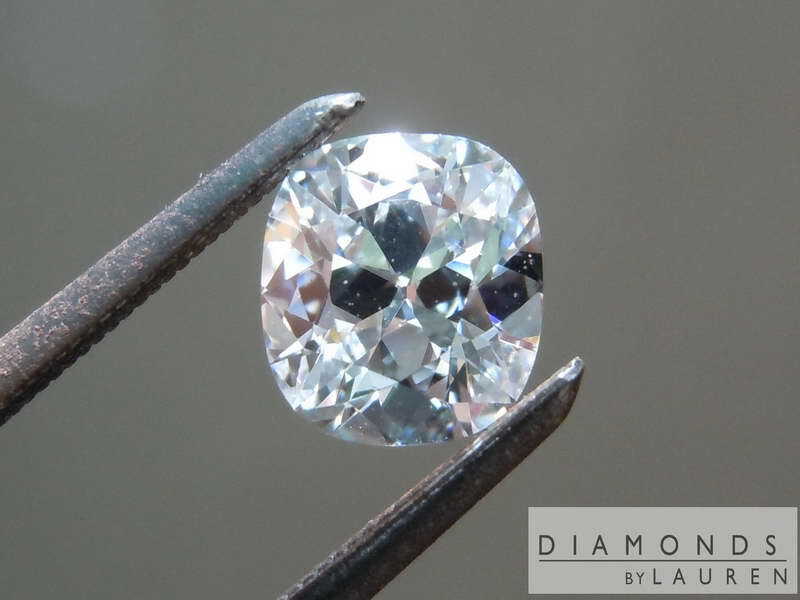 In terms of size, you could mistake the stone for a one carat stone. 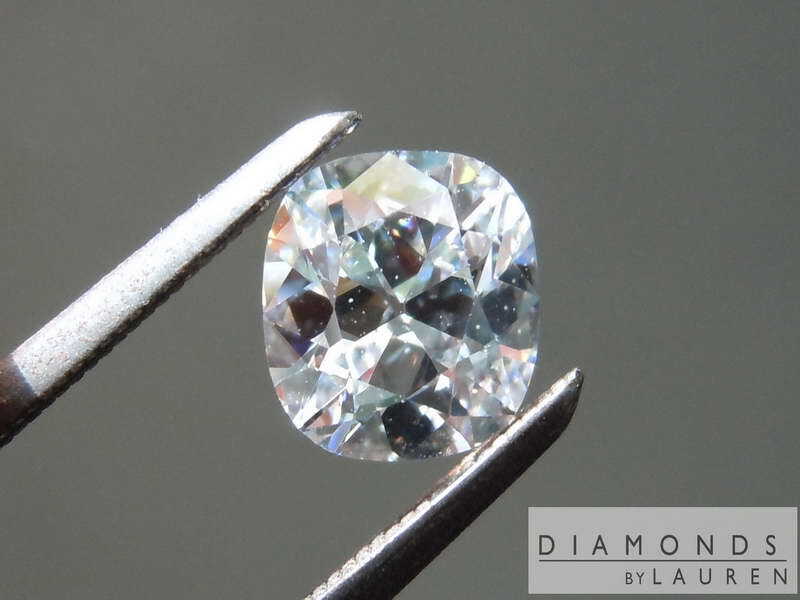 A one carat D Internally Flawless will cost double - or more. 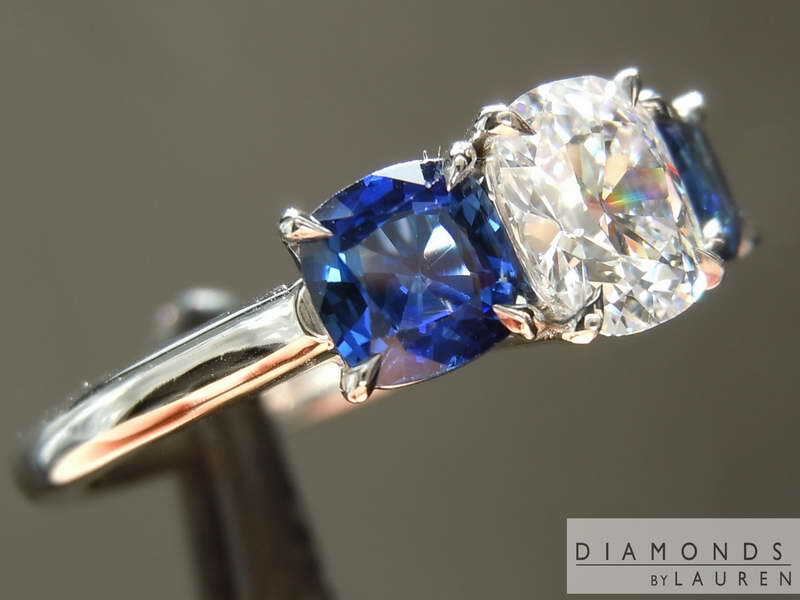 The stone is a looker for sure. 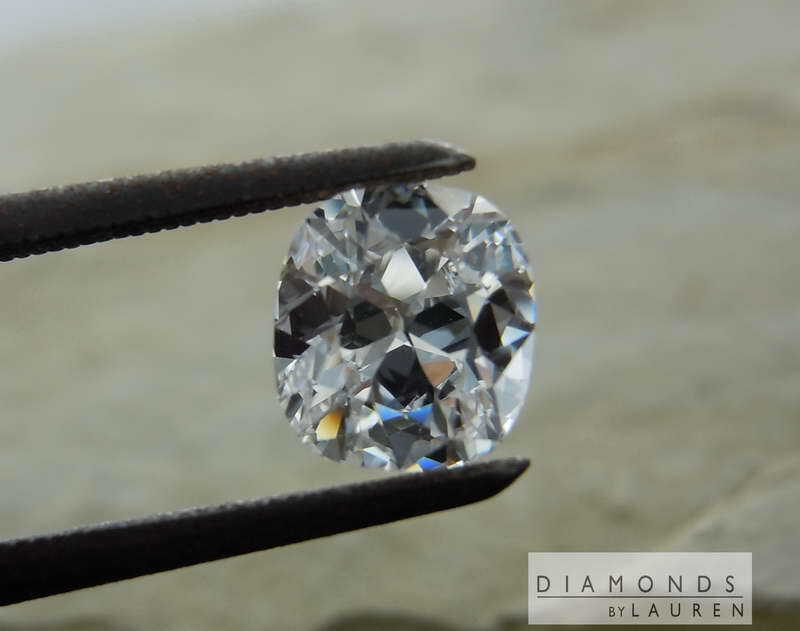 We can make you a setting of the same caliber.